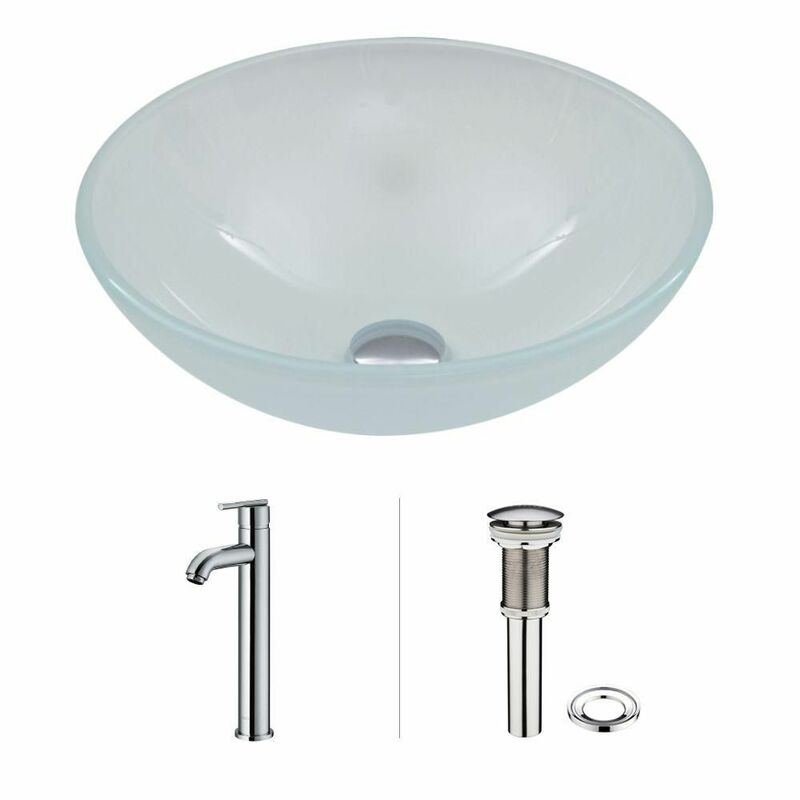 Vessel Sink in White Frost with Faucet in Chrome is rated 5.0 out of 5 by 1. Rated 5 out of 5 by VICki from VIGO WHITE FROST VESSEL Purchased vessel sink for upgrade vanity top in my guest bath. It is lovely and all seem to be very impressed.